Floor & Wall Mounting, designed for easy tipping & cleaning. Galvanized for longer life span. 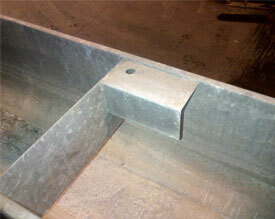 Frame of pit hole cover is made of 3/8" x 2" x 2" Angle and cross beams 1/4" Thick channels. 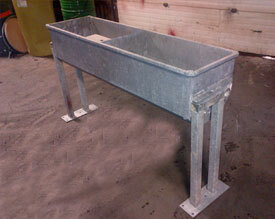 Water Troughs for horses are an easy way to make light work of watering chores. A.B.MFG.INC. 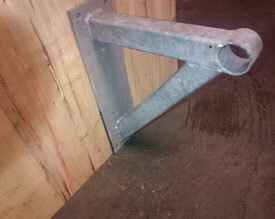 has many years of experience in the fabrication sector, serving many varied industries including agricultural. © Copyright 2013. A.B.MFG.INC / links / Sitemap .